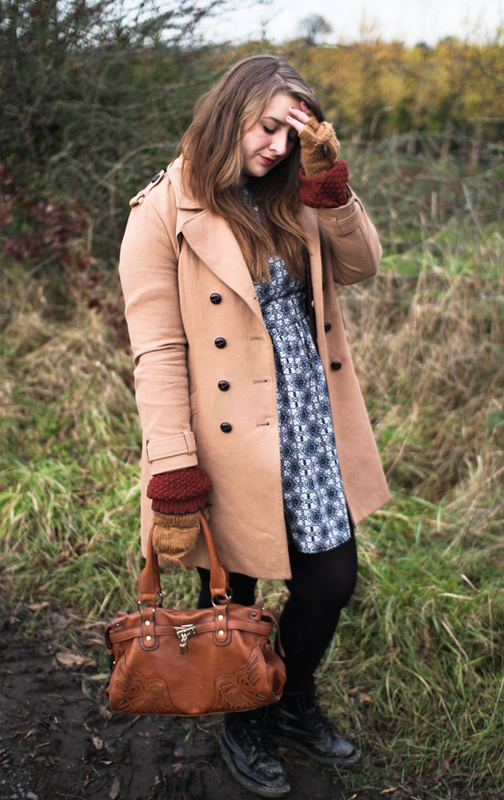 Here is my Autumn Walk Outfit, it’s freeezing cold at the moment so I had to wrap up really warm! 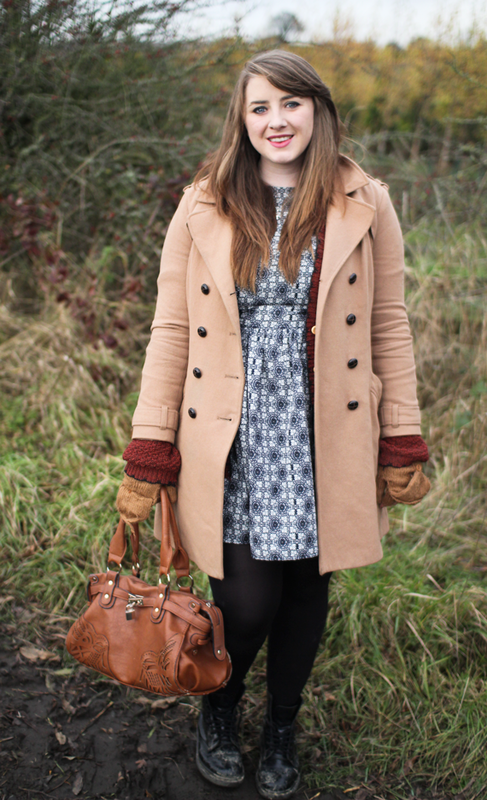 I wore my H&M trench style coat and oversized red Ark cardigan. I also wore my Doc Martens, my favourite, comfy strong boots, some brown gloves from ASDA George with my brown leather bag, bought from a stall. 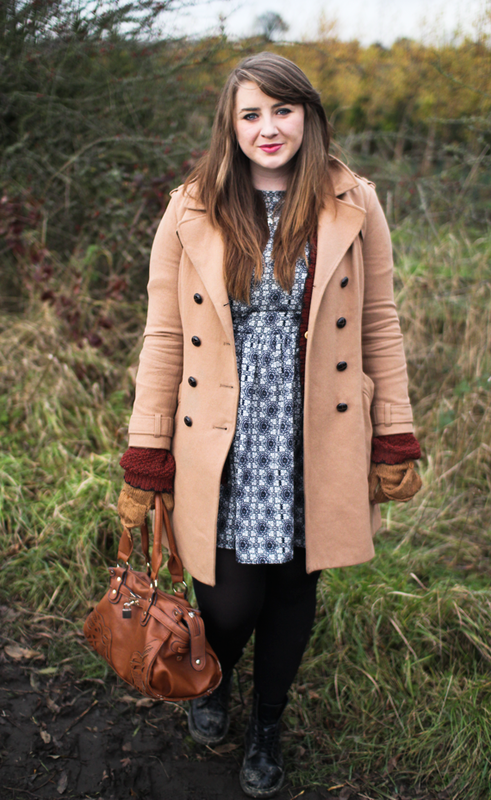 My dress is new from Primark and I love the vintage monochrome print! My lipstick is also a lovely Autumn Plum colour – Rimmel Lasting Finish Lip Stick, shade One of a Kind.